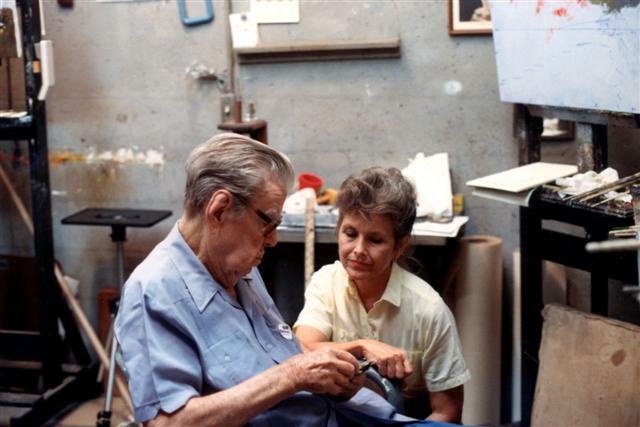 Beanie Backus, my friend and teacher, showing me how to measure reflections. It was a thrill to be able to watch Beanie paint. He taught me so much. 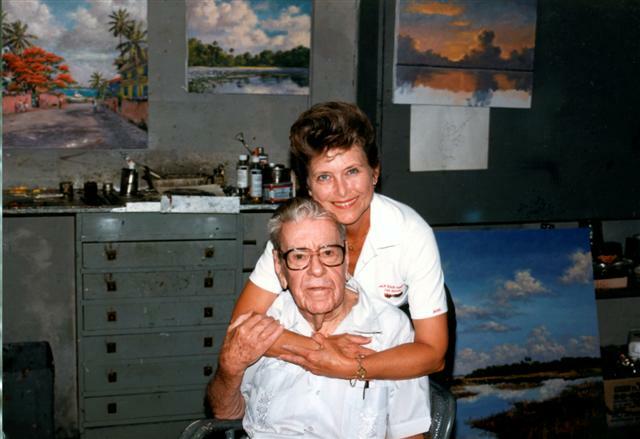 He was so willing to share his knowledge of painting the Florida landscape. 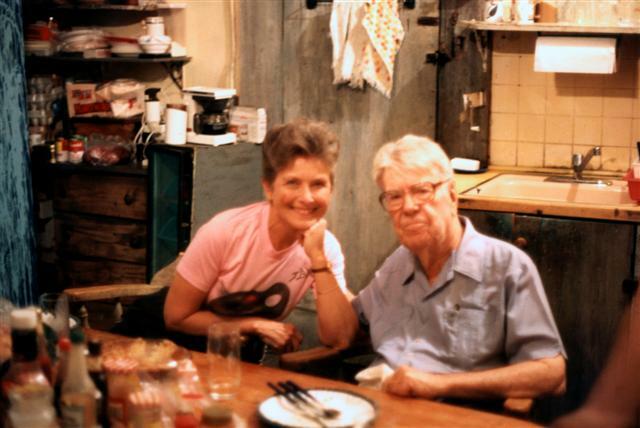 Having lunch in Backus's kitchen. He was a great cook. That's his refrigerator on the left covered in blue paint. He liked it so much he painted his stove to match it. This is the last photo taken with my friend before he died on June 6, 1990. The eleven years I studied with Backus was one of the greatest gifts I ever received. 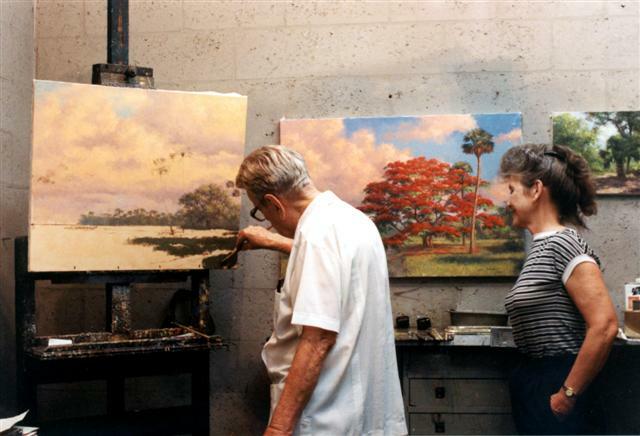 He is 84 years old in this photo and was still painting.